This picture looks a little different from the last one because I had to use a flash. It's very overcast (and cold) here today. Not like Florida at all! Anyway, Just a little over another hour and I will announce the winner of the drawing! So exciting! :) Write soon! This looks great. I love LHN and CCN patterns so much. You are flying through Rose Cottage. It's so lovely! Weather is weird everywhere, I think. We're having very cool weather here in southwest Missouri. 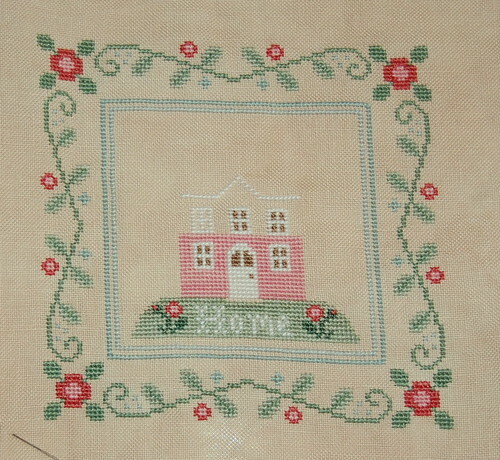 Love love love your Rose Cottage! Another lovely...soon this one will be ready for the tub too!